This dog house is just adorable . . . Made of high quality material it is durable and long-lasting. Foldable, it can be stored when not in use. 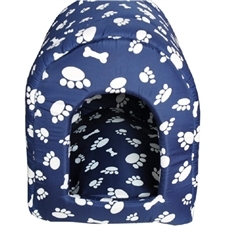 This cool puppy house will keep your pet safe and comfortable. Recommended for indoor use.